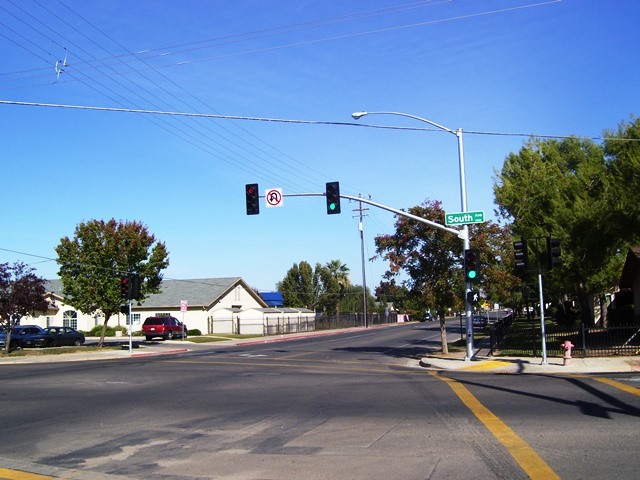 Orange Cove’s First Traffic Signal – Yamabe & Horn Engineering, Inc. Working under contract as the City Engineer for the City of Orange Cove since 2001, Yamabe & Horn secured a Safe Routes to School grant in 2008 to be used for the improvement of the intersection and installation of the City’s first traffic signal. Given their involved longstanding relationship with the City, they were responsible for every stage of development, from securing funding to scheduling the construction and coordinating with PG&E and contractors to execute the improvements.